Wick Golden Valley LNR has a diverse history in terms of the people who have worked there, the rich industrial heritage and the overall history of the site itself. 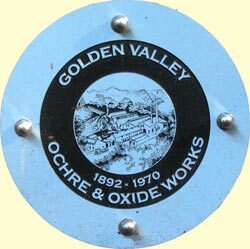 Wherever you walk in Golden Valley there are reminders of the mining and industrial processes that have shaped the reserve as it is today, and this section explores some of the people and practices that have taken place over the years. The Geology of the Wick Rocks Valley - An article from 1890 provides a historical perspective.